What constitutes a memory maker? This is something companies have to consider when meeting customers, clients, suppliers and even potential employees. Do they need something tangible like a pen, coffee cup or T-shirt to remember you? Some companies repeatedly distribute these types of products to remain visible and relevant in the minds of clients and customers, but there are other avenues that contribute to awareness. It is about the experience rather than just material items. 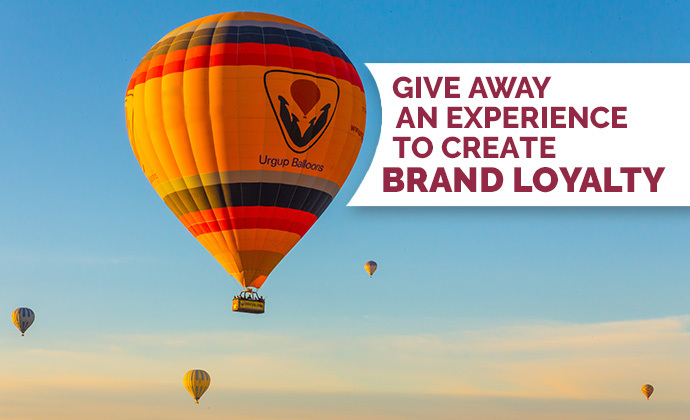 If you want to be a memory maker and stand out in the crowd (especially at tradeshows or conventions), consider gifting an experience to your followers. Some companies might conduct a sweepstakes drawing, a business card raffle or prize wheel with some conventional items or one big-ticket item. For example, what is more memorable – a trip or a water bottle? Winning a weekend getaway would be something spoken of for years to come. Let’s say a client wins a trip to Las Vegas. Whenever an ad for Las Vegas appears anywhere, the customer could very well think to himself, “Remember when I won that getaway from ABC Manufacturing! What a fun trip that was!” Tickets to concerts and sporting events generate memories as well and will put your company and brand in a good light for much longer than an item that could very well be misplaced. With a little exploration, you may even find things like train rides, hot air balloons, boating afternoons, or even 15 minutes of riding in a race car. All of these experiences generate fond memories and could very well link your name to something your customers will never forget. Pens, t-shirts and coffee cups come and go; but if you want to become a memory maker, you’ll want to make a long lasting investment! Will Your Next Giveaway be a Memory Maker? If you are ready to get creative and make sure your customers, clients, suppliers and recruits remember your company, find an experience that will resonate with them. Think local, think different and think about your audience. Proforma is always happy to help with any new marketing initiatives!